Browse : Home Updates Has Google’s Fred Update Stolen Your Peace Of Mind? 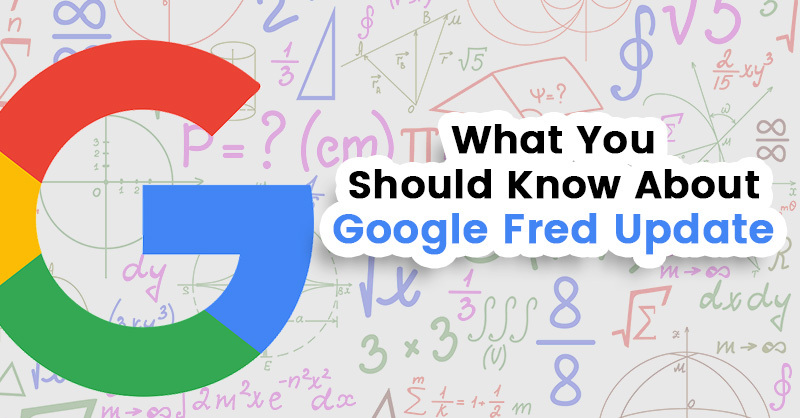 Has Google’s Fred Update Stolen Your Peace Of Mind? You are a contented person and happy the manner in which your “SEO life” is carrying on when you suddenly wake up the next day to find that your position in the SEO world is dwindling. This is definitely not a pleasant experience. So, what has stolen your peaceful sleep? Undoubtedly it is another update from Google! And this time it is none other than Fred. March of 2017 has witnessed another change in Google’s algorithm. Let us see what this is all about. The search engine major has released an update of its algorithm called Fred (term coined by Gary IIIyes), that monitors or checks for the quality of inbound links of any website, which means the links that are pointed to your website from other websites. As per Gary lllyes, the search engine major is on an update spree almost every day. However, this particular update called Fred has had a massive impact on the rankings of websites of clients, which literally witnessed a so called “rollercoaster ride” ever since this update was released. There are upheavals in the rankings, which is further confusing the webmasters. It is difficult to dodge Fred in the virtual world if you have manipulated or adopted unethical methods to stay on the top, regardless of whether it is now or in the past. Check out the victims that belong to different categories. • If you befriend a spammer you cannot escape- According to industry experts, it is being ascertained that the Fred algorithm update is certainly affecting the website rankings that draw traffic organically. Also, online business entities that have a history of bad links, which include excessive spam links directed to their websites are worst affected. In other words, if you have had links directed to your website that are spams, be ready to be penalized. Also, making payments for links qualifies you for being penalized too. • Have you been manipulative and tricked visitors – Aside from taking into account the quality of inbound links that are directed to your website, there are few other factors that are also being looked into as per the latest update of the search engine major’s algorithm. It is also being assumed that if your website has content that is of low quality, irrelevant, and inaccurate, you are a candidate for being penalized. There are many websites that only aim to generate revenue from AdSense without adding value to the readers or visitors that browse for informative content. So, unless your website is not cluttered with advertisement banners, you are safe. There is good news too! Fred is for the time being sparing local businesses. However, there is a catch here too. Although you will not find an immediate change in local businesses, nevertheless, the organic rankings might be impacted. Some experts in the industry are of the opinion that Fred is basically targeting the so called PBNs or private blog networks. This can be further substantiated because several webmasters as well as PBN users have found that this particular update has affected their rankings. Google is particularly identifying the links of the PBNs and from the websites that they are linking to. Interestingly, as per reports, there has been a lot of hue and cry from a particular sect of the SEO industry. And it is essentially the ones known as “Black hat SEO people”. As such, it is being increasingly believed that Fred is trying hard to punish the spam link building community. The last time a similar update was reported in February 2017, which was aimed at links too.